The change we feel is broad, which is why our adaptation must be holistic. Some patterns play out in minutes or days, others with geological slowness: mountains rising and falling whilst mayflies live out their day. The segmentation we view the world with is, to large degree, artificial: we talk of leadership and learning, sustainability and change, legal and compliance, IT and Wearables, but all co-exist within the same ecosystem, are facets of the same system, if our view is wide enough. To change one part influences all the others: they are interconnected, and it’s through that broadest, that most holistic lens that we must view the change required. You cannot simply tweak one element and hope to effect broad change: rather we need a constant and broad pattern of adaptation. We need the generalists to join the dots. See any organisation: the people, the infrastructure, the brand, the purpose, the technology and products and services. All interconnected. To change one impacts them all. And to change them all requires a new model of change: co-created and co-owned. I’ve been exploring this in the Change framework: the ways that dynamic change will draw us from the middle, not drive us from the top. The way it crosses boundaries. We see this in the future organisation: scaffolded and recongifurable, where the vertical entities of HR, Legal, IT and so on are evolved, become facilitating rather than simply mechanisms of control over individuals. The organisation adapts to become infrastructurally agile: capable of adapting because people are not anchored to the present, but rather invested in the future. Invested in the change itself. 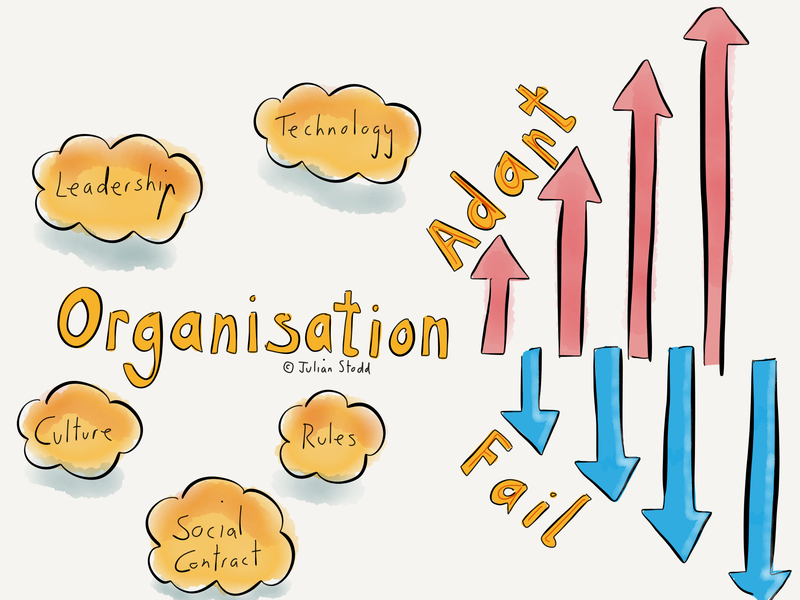 An organisation can end up churning: well intentioned, but ultimately futile in it’s purpose. This happens because the change is not joined up: the energy is not aligned, but rather dispersed and diffused, easily subject to the attention of antibodies and lethargy. These constrained organisations are not robust, not adaptive, somehow neither suited for the world today or the world we will inhabit tomorrow. Our responsibility is this: to help organisations chart a path, to help them see what has changed and what is changing, and to help them find a way forward, utilising the best of the new technologies, the best of the community, and the best of what they already know. Whilst also ditching the old, the things that are holding them back. 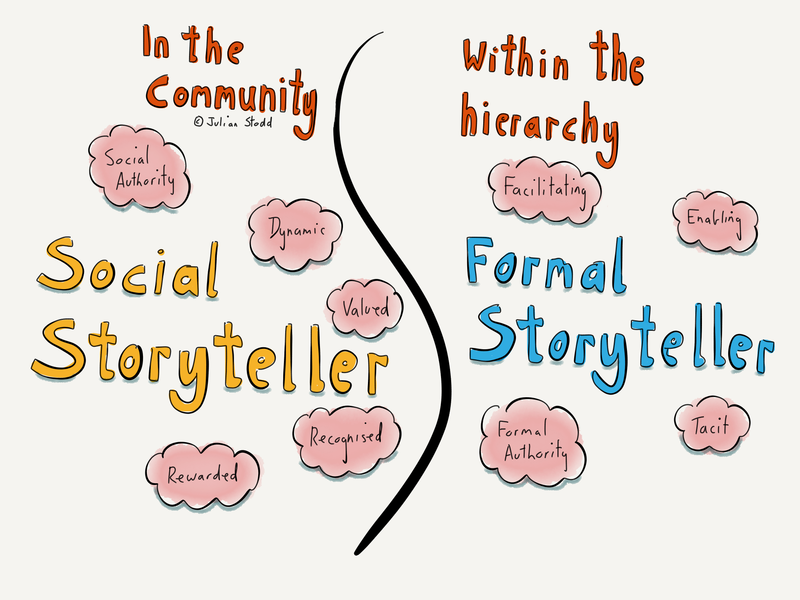 The agile organisation will have strong leadership, embedded within it’s hierarchy, but will also have strong social roles: Social Leaders and Social Storytellers. It will complement it’s formal story of learning with a Social one: co-created and co-owned, using Scaffolded approaches to structure the narrative, whilst leaving space for every individuals to write their own version of the story. The agile organisation will utilise it’s strong communities to make sense of the market, to become more innovative, collaborative and fair: indeed, that fairness will be it’s strength, benefitting as it can from all the voices, not just the loudest ones. The agile organisation will be sustainable as it will recognise that longevity is about adaptation and change, not lethargy and stasis. It will be empowered by strong internal communities and connected to strong external ones, alumni and aligned interests and views. It will tell authentic stories and recognise excellence with social capital and reward. And it will strive to ensure that nobody is left behind. It’s the type of organisation that people will want to work for: not forever, because there’s no career in the Social Age, but to stay aligned with, alongside, for long periods. Sometime working, sometimes learning, sometimes just in the same space. And the benefits will flow both ways. The future organisation will not be gifted to us: it’s what we will create if we are aligned in vision, if we are committed to adaptation, if we prototype and rehearse, if we are willing to change. Because we are as much a part of the problem as we are a part of the solution. 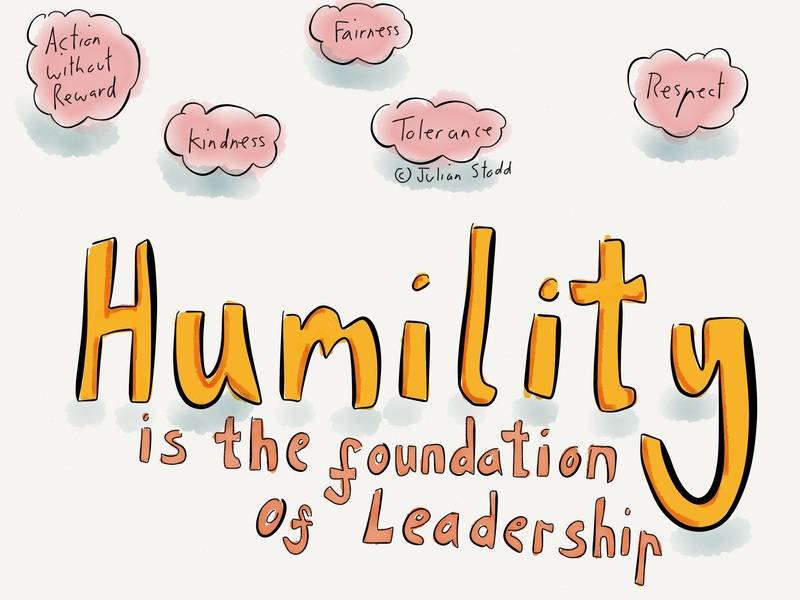 If we approach leadership with humility, community with kindness and change with energy, we will be the people to commit to holistic adaptation, the people who commit to and create the future state. 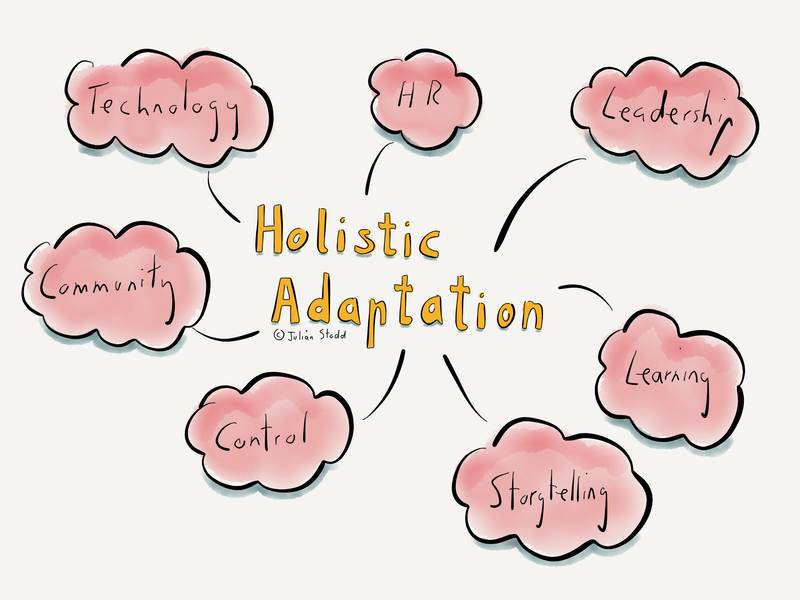 This entry was posted in Adaptability and tagged Adaptation, Change, Culture, Leadership, Learning, Organisational Change, Social Age, Social Leadership, Social Learning. Bookmark the permalink.